Stocky's is now offering Package Deals! We're making it even easier to upgrade your rifle in one step. This package deal includes a Stocky's® Long Range Composite stock in Long or Short Action, Sporter or Varmint Barrel in unpainted black and your choice of a Wyatt's M4 Detachable Box Magazine Assembly. 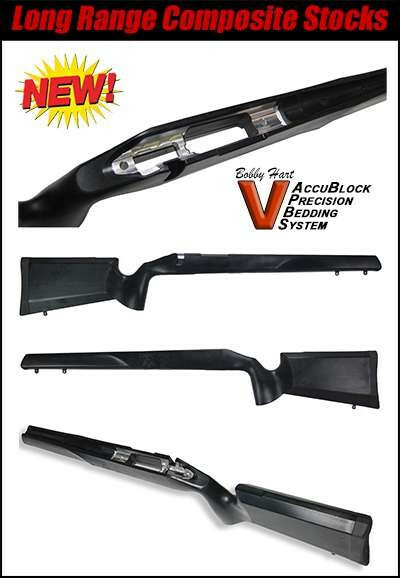 Stocky's® Long Range Composite Stock for Remington 700 Long or Short Action, Varmint or Sporter Barrel.